Waterjet cutting is our business, but customer service is our goal. 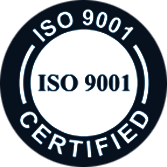 As an ISO 9001:2015 Certified company, we are committed to providing excellent customer service for all your waterjet cutting needs. We believe in more than just doing the job. We’re dedicated to finding the right solutions and delivering them quickly through our flexible and innovative techniques. 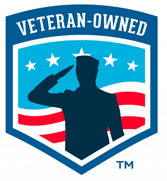 Founded in 2003, we are proud to be a veteran-owned small business. Our core values and work ethic have allowed us to grow steadily over the years and develop strong relationships with our customers. As a partner in waterjet cutting, we pride ourselves in being your one-stop resource for all your waterjet cutting needs. Our state-of-the-art 21,000-square-foot manufacturing facility in Ramsey, Minnesota, allows us to provide the most cost-effective manufacturing solutions to a broad range of customers. With the most innovative waterjet cutting technology available, we’ll get the job done right while keeping your costs low. No matter what your needs, we’re ready to be your partner. Contact us today to find out what we can do for you.